Group Chairman UBA Plc, and Founder of the Tony Elumelu Foundation, Mr. Tony O. Elumelu, spoke at the prestigious University of Ghana, Legon, before hundreds of Ghanaian youths, academics and entrepreneurs on the first stop of his UBA tour of Africa. Read more. More about United Bank of Africa in this BRIEFING. 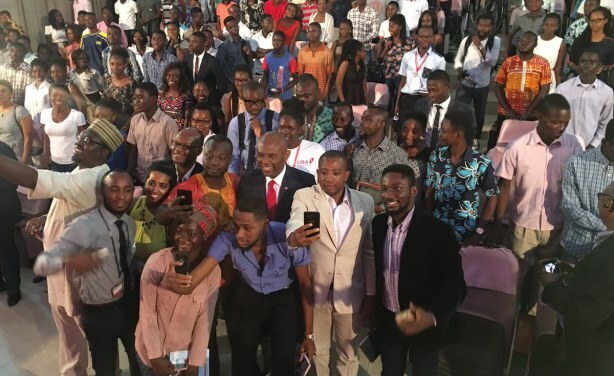 Group Chairman UBA Plc, and Founder of the Tony Elumelu Foundation, Mr. Tony O. Elumelu, spoke at the prestigious University of Ghana, Legon, before hundreds of Ghanaian youths, academics and entrepreneurs on the first stop of his UBA tour of Africa. 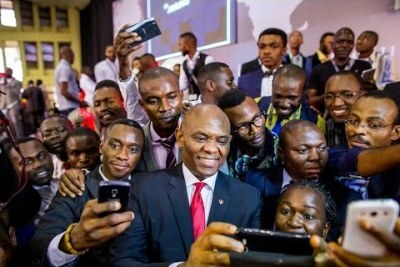 Tony Elumelu Addresses Africa's "Greatest Challenge"